Michael Hawk is a cool-handed crusading journalist with a knack for poking into the crevices of the world and coming out with a sensation. The smell of mystery excites him as much as the scent of a beautiful woman. This time it leads him to a smoldering Greek island, a mysterious villa with a multi-million dollar secret and a ravishing heiress who bequeaths him its key - and the curse of a fugitive life. Michael Hawk is an investigative journalist with a knack for getting the scoop. Part Anderson Cooper, part Indiana Jones, with James Bond’s magnetic charm, he saves the day and gets the girl in the end. 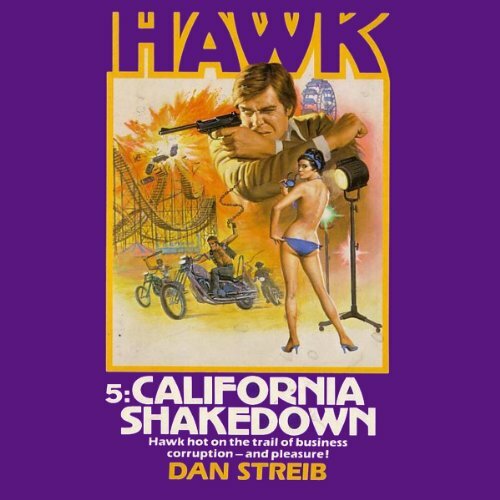 ©1980 Dan Streib (P)2012 Audible, Inc. This time it leads him to a smoldering Greek island, a mysterious villa with a multi-million dollar secret and a ravishing heiress who bequeaths him its key - and the curse of a fugitive life. Michael Hawk is an investigative journalist with a knack for getting the scoop. The deadly crusader has just lucked into an ex-dictator’s fortune. All he wants for the moment is to enjoy squandering his riches on women and yachts and women and private jets - and more women. But a horde of chanting cultists almost brainwashes him in Minnesota and he barely escapes a time-bomb explosion in San Diego. 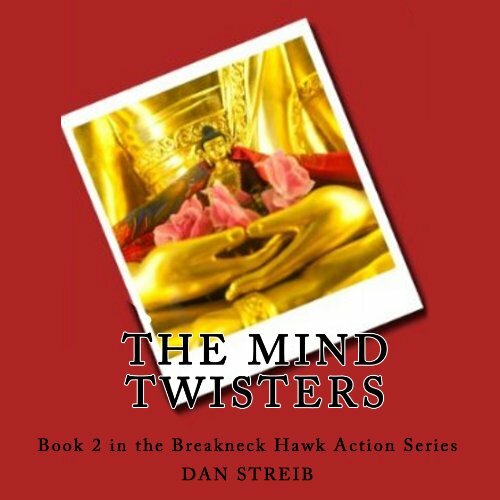 After getting word of the strange events, Hawk is on his way to Hong Kong to break open the most sensational case of his career - if he can live long enough to find the she-devil behind the mind twisters. The Deadly Crusader finds himself in the thick of an electrifying plot to bring to bring an energy-starved America to its knees. Nuclear plants and oil tankers are sabotaged, refineries are set afire - and he is being blamed! Hawk sets out to tackle the power-crazed power barons and short-circuit the monstrous scheme - and meets a gorgeous environmentalist with unnaturally “natural” charms. Physically and mentally drained from his last adventure, Hawk is looking for a break - a paradise where a man can relax...and stay alive. He figures a Caribbean cruise is the perfect way to get lost for a while. But on the high seas, a sultry beauty and her gorgeous young beauty vie for his love. And a sadistic assassin - unsure of Hawk’s identity - is torturing and murdering his way toward his mark. Michael Hawk is an investigative journalist with a knack for getting the scoop. Part Anderson Cooper, part Indiana Jones, with all of James Bond’s magnetic charm, he saves the day and gets the girl in the end. 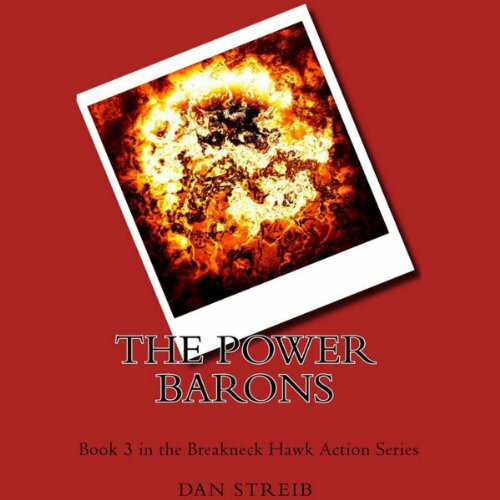 Michael Hawk is shocked and enraged when an old friend becomes the victim of a professional hit team. His investigation into the grisly death leads him from the sultry Caribbean to the air conditioned towers of big business and the danger-filled dreamworld of Hollywood sets. Along the way he discovers a monstrous corporate cover-up - and a hot-blooded lady V.P. who loves mixing business with pleasure. Michael Hawk is an investigative journalist with a knack for getting the scoop. Hawk comes to Venice in search of a story, and quickly finds one. A fellow reporter is dead, and all the clues lead to the past. Parts of the puzzle lie beneath one of the city’s murky lagoons. Others lurk in the palatial villa of Count La Scala, a demonic terror-broker whose madness and passion for brutality have their roots in the smoldering ashes of the Nazi’s shattered Reich. 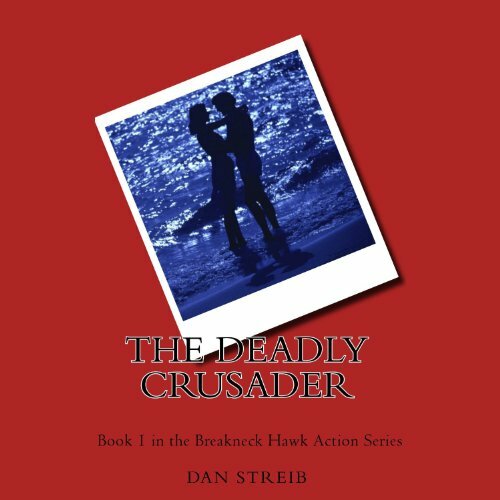 In trying to uncover one of history’s greatest secrets, Hawk must save a beautiful woman from La Scala and evade the murderous pursuit of every terrorist group in Europe. Hawk heads for New Orleans to join his old buddy Whip McComb and his Motorcycle Thrill Circus. He arrives just in time to see Whip’s latest stunt end in a shower of blood when his bike comes up short and he is impaled on a bed of nails. Somebody wanted Whip dead. But who? Hawk’s investigation introduces him to Whip’s bizarre crew of "death riders", from Whip’s venomous Oriental wife to an embittered dwarf with an axe to grind. Hawk narrows things down, and takes a huge, potentially deadly risk to get the killer to tip his (her?) hand. Hawk is faced with the most calamitous case of his danger-ridden career. His friend, President Warren Stone, is losing his sanity - and control of the country. The streets are in turmoil. The Russians are advancing on the Mid-East oil fields. And Hawk’s being shot at from all sides: the FBI, the CIA, the KGB, and a golden-haired beauty. 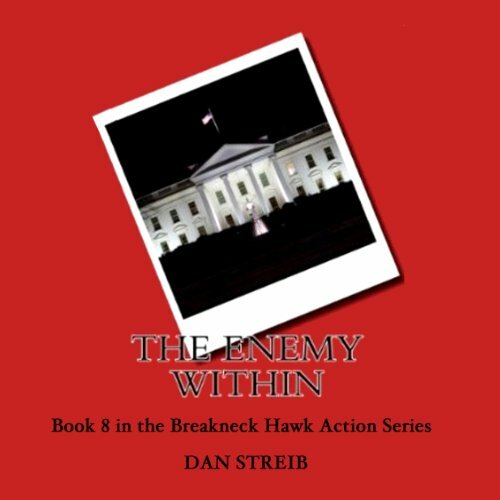 It’s Hawk’s job to discover if the President’s loss of sanity is for real, or it it’s been brought on by a deadly enemy within - before the world is engulfed by the fireball of a nuclear holocaust. 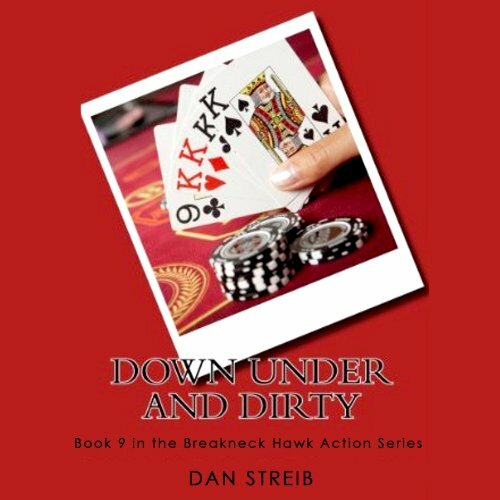 Hawk goes down under when an Australian bookie is flung head-first from an exclusive tower restaurant by syndicate hitmen. Hawk aims to take on the Godfather himself, and the gun wielding hoods train their sights on him. But who’s behind the bold scheme to muscle in on the Sydney underworld? The gutless Tony Santoni, the ill-suited heir to a gangland empire in the States? Or someone with a flair for the dramatic - like the elusive actress who has made Hawk her captive audience? Hawk is trying to shake the Aussie police hot on his tail. Holed up in the Sydney Savoy with the flame-haired actress he loves, Hawk comes across the perfect out: an island kingdom comes up for sale. But is it a legitimate deal? And is it really the Eden Hawk needs to get away from it all? The CIA has an answer. So do the Cubans, the Russians, and the Islanders themselves. But not the one Hawk wants to hear, especially in the middle of a raging hurricane. 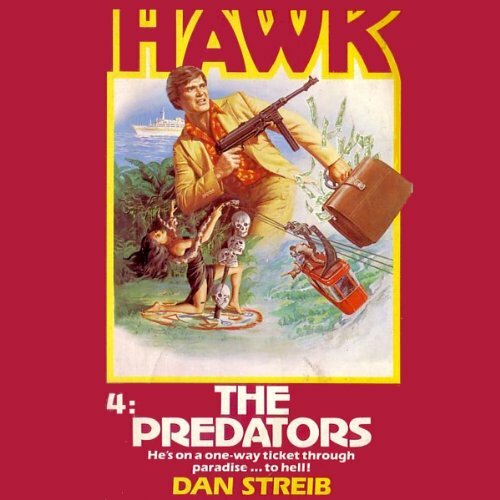 After a terrorist group declares war on New York City, bombing the subway, machine-gunning a sold-out crowd at Yankee Stadium, and stating even more horrible plans, Hawk decides to leave his Polynesian paradise to join in the hunt to stop them. 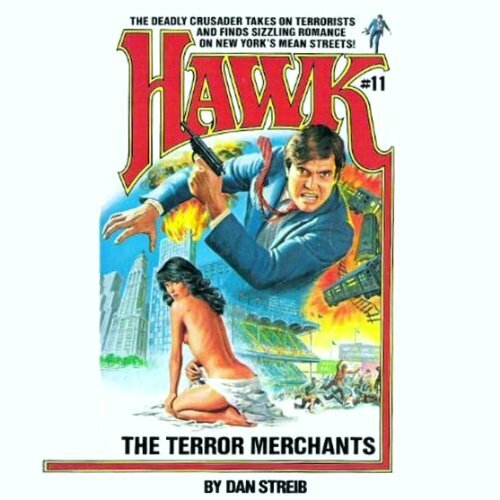 Hawk closes in on the wealthy and fanatical leader of the terrorists, Dr. Segura, and his imported pro, Uchi Saito, but his own life is put in danger as he becomes their target. Even with the beautiful Madelaina by his side, New York is a long way from paradise - unless they can stop Segura. When Hawk’s latest lady is taken to the Virgin Islands for a ride she didn’t expect, he ends up discovering an international white slave trade. As soon as he gets hot on their tracks, the CIA tries to derail his search. 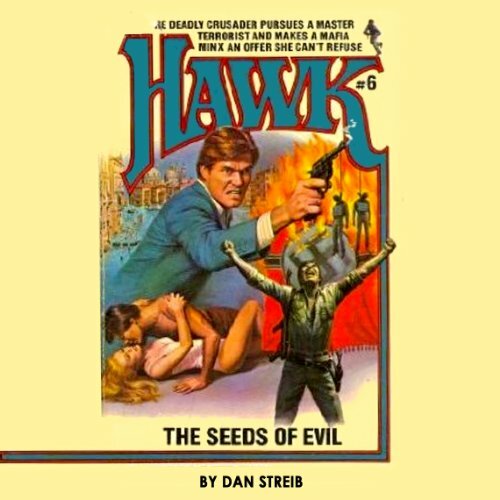 But in the face of kidnappers, murderers, and blackmailers, soon even the CIA must admit they need Hawk’s help, and he is immediately on the case to discover the identity of the “Mr. Big” behind all the kidnapping and murdering. Calling themselves The Way - and led by the ruthless modern-day mandarin, Lee Chong - they are an assassination away from total control of the islands. 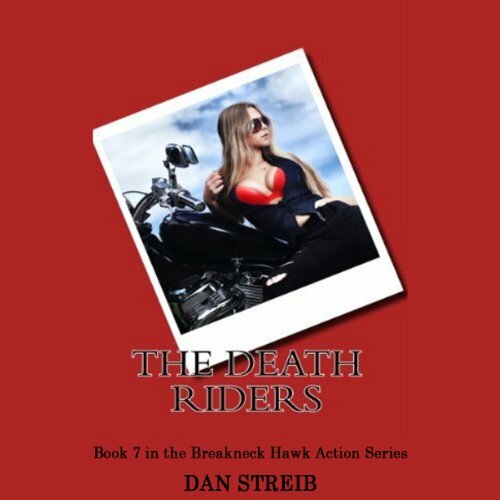 But Hawk puts himself in their way, and takes a first-class trip through Hawaii’s explosive underworld - with a hot-as-lava lady cop to guide him. 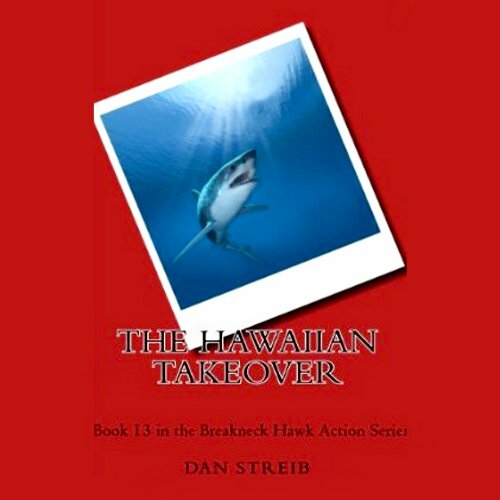 Hawk spends a Hawaiian holiday in the arms of an alluring lady cop - until his vacation is interrupted by a tropical beauty with a terrifying story to tell. Her father, an unconventional ex-GI, has declared himself the sole survivor of a sunken WWII treasure ship and been kidnapped by ruthless treasure hunters. 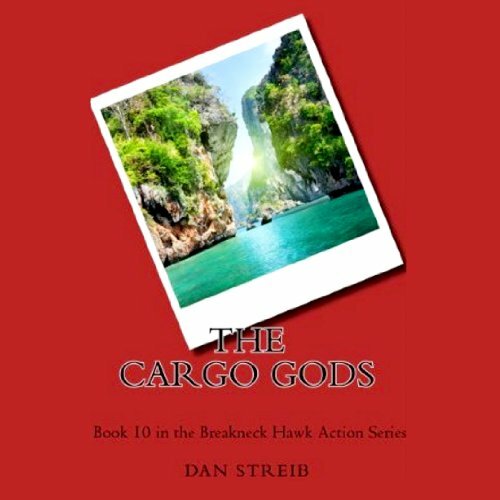 Hawk must follow the kidnappers’ blood-soaked trail across the South Pacific with his island beauty in tow. 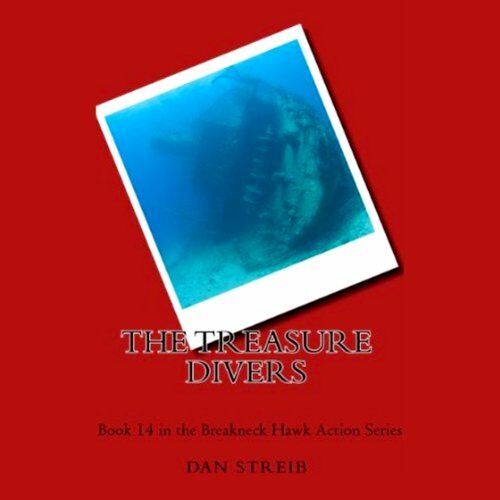 At stake is a man’s life and a wreck worth millions if they can only outwit the evil genius of the treasure divers.